In 1491, the king of the west central African kingdom of Kongo was baptized as a Christian by Portuguese missionaries, and in so doing, he ushered a unique and centuries-long relationship between the Kongo kingdom and European political and religious powers. Cécile Fromont, assistant professor of art history at the University of Chicago, describes the beliefs and material culture of Christianity that developed in the kingdom as a result of the transatlantic trade of goods and ideas. 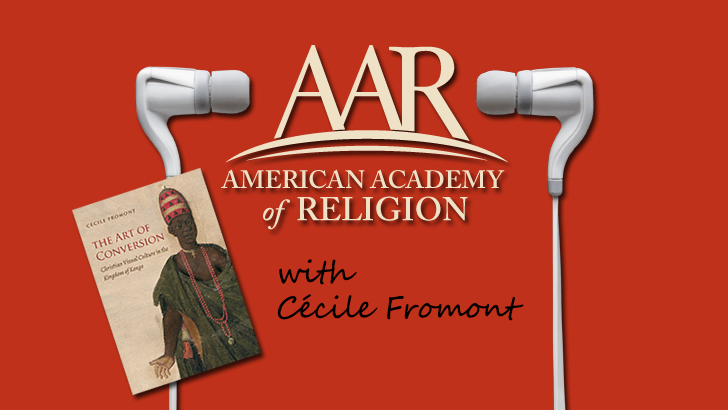 Cécile Fromont is the author of The Art of Conversion: Christian Visual Culture in the Kingdom of Kongo (UNC Press, published for the Omohundro Institute of Early American History and Culture, 2014), which won the AAR's 2015 Award for the Best First Book in the History of Religions.